Okay, How Do We Solve This Mess? To put it nicely, the NFC South is a mess. To put it truthfully, the NFC South is absolutley disasterous. Right now, the division stands with Atlanta at 4-7, New Orleans at 4-7, Carolina at 3-7-1, and Tampa Bay at 2-9. Really? You know whats even better? The winner of this division not only makes the playoffs, but they will host a home game. There's something wrong here. I decided to personally go through and look at the rest of the schedules for each team and decide what their record may end up being. At this moment, I'm projecting New Orleans at 6-10, Atlanta at 6-10, Carolina at 3-12-1, and Tampa Bay at 4-12. Are you serious? So let me get this straight - a 6-10 team will host a playoff a game? Wow. I mean go ahead and look at the rest of the schedule and predict for yourself but right now, this may be the case. New Orleans would get in because they play Atlanta in Week 16 and I'm prediciting them to win which would allow New Orleans to break the tiebreaker and get in to the playoffs. But back to the main picture. New Orleans hosting a playoff game? Oh brother. Here is what the NFL can do to fix this mess. They need to make a rule, in print, stating that a division winner that DOES NOT have a .500 record or better will NOT host a playoff game. However, they WILL make the playoffs because the division winner is entitled to a playoff spot and will be placed as the last Wild Card seed. This is my solution and what I think should happen. It's not fair to completely take the home game away from the division winner so the rule should state that they must at least be a .500, or 8-8 football team. The problem is that this season, a team from the NFC South will indeed host a playoff game. Looking at the schedule, I believe it ultimatley comes down to New Orleans and Atlanta but honestly with the way this division has gone, anything, and I mean anything can happen. Red Sox Doomed to Repeat History? The Boston Red Sox have landed the top two free agent hitters on the market this offseason in Pablo Sandoval and Hanley Ramirez, signing them to big multi-year deals this week. Ramirez will be getting $88 million over four years. Sandoval will be getting $95 million over five years. Its a surprising move to me, and maybe others, because of Boston's recent history with big contracts like this. Just a mere two years ago, they acquired first baseman Adrian Gonzalez and outfielder Carl Crawford prior to the season and both had contracts over $100 million dollars. The Red Sox ended up finishing last in the division, and oh yeah, they traded those two and Josh Beckett to the Los Angeles Dodgers in August. This deal, totaling $250 million in contracts, was made so the Red Sox could lower their payroll. Now mind you, it was a completely different situation on both sides. The Red Sox were playing terribly under Bobby Valentine, and the Dodgers were just sold to Magic Johnson and his new ownership team who were looking to spend big money to improve their team. Fast forward to now and the Red Sox have now locked up roughly $200 million in two players, coming off a season where they finished in last place, a whopping 25 games behind the Baltimore Orioles. Sandoval is coming off his third World Series title in five years as a member of the San Francisco Giants, and is looking for a "new challenge" as he turned down a contract from the Giants for the same price that he signed with Boston for. Sandoval has had "issues" with his weight and people worry whether he can keep it in check to a point where his performance stays strong. That will be something to keep an eye on him for. Ramirez is leaving a solid team in the Dodgers to head to Beantown. The Red Sox announced that they intend to play him in left field, a completely new position he hasn't played in his MLB career. Rewind a few years when he was with the Marlins, and they wanted to move him from shortstop, he pouted and his performance suffered. Keep an eye out to see if this happens again. The Boston front office wanted to address their offensive needs, and I would say they just did that, but will it pan out? Or will the Red Sox repeat history, gamble on big contracts, and still lose? I feel like the additions will help, but with the backgrounds these guys have, it could be a huge fail if they don't perform. Okay everyone, I think it's time that I throw my hat into this discussion, and I have a lot to say. By now, you'd have to be living under a rock to not have heard that domestic violence is apparently what's "in" in the NFL. I say that with every last kind of disgust, seeing that I love watching football.Yet, when all that's on the news is Ray Rice, Greg Hardy, and recently Adrian Peterson, the sport I love to watch starts to become secondary. The league America loves to watch starts to, or at the very least should be, becoming secondary. Why? Because we're talking about three of the leagues most talented players doing things NO ONE should ever do: physically harm a woman, and physically harm a child. Oh, but it doesn't stop in just the NFL, folks. Recently in the NBA, Charlotte Hornets forward Jeff Taylor was suspended 24 games. For what? You guessed it: domestic violence. So allow me to say something everyone should be on board with: I don't care if you are a rookie trying to make it in the league, a superstar, or just an everyday Joe Schmoe walking the street. You DO NOT inflict pain on your loved ones. Domestic violence is a touchy subject. If you say one thing that can even be remotely misconstrued, you're going down a slippery slope. With that said, remind me why people would go so far out on a limb and say things like, "Well, the women provoked it," or "It's self defense," or even "Well, if she was hitting him, she kind of deserved it." Really? A woman deserves to get punched senseless? A woman deserves to get physically dragged out of an elevator by hair?!? A woman deserves to have visible scars and bruises, and have to be scared senseless to come forward?!?! And please, don't even get me started about children. I get that sometimes it's referred to as an "old-school method." I get it. Really, I do. But at some point when it comes to that said old-school discipline, enough is enough. What any athlete needs to understand, those who we know have committed domestic violence incidents and those whom we don't know, is that playing professional ball is a privilege. I repeat: playing professional sports is an absolute privilege. How many athletes get to grow up and fulfill their dreams in the NBA, NFL, MLB, MLS, and so on? Better yet, how many of those said athletes become superstars? Faces of their respective franchises? Faces of their respective leagues? More attention needs to be focused on improving your life and the lives of others affected your actions. It's good to see that professional sports leagues are starting to realize this, showing so by dishing out lengthy suspensions and harsher penalties. But work still needs to be done. Athletes need to do some soul-searching and ask, "Is it really worth derailing my life and other lives to just hit someone?" We as fans need to do the same, but also need to put our fan allegiances to side and stand up to this social issue. Enough is enough. We need to rid sports of this issue, and then also try to rid it from our culture. No more domestic violence. No more hearing about this damn near every day. I feel like I've been here before. You know, professionally writing out how utterly embarrassed I am to be a Chicago Bears fan after a game in which they get absolutely decimated, not having any material (nor any motivation) to defend them, and saying, "Never have I ever been this embarrassed to call myself a Chicago Bears fan who goes to a school in Wisconsin." All that good stuff. Oh wait, I have been here before. 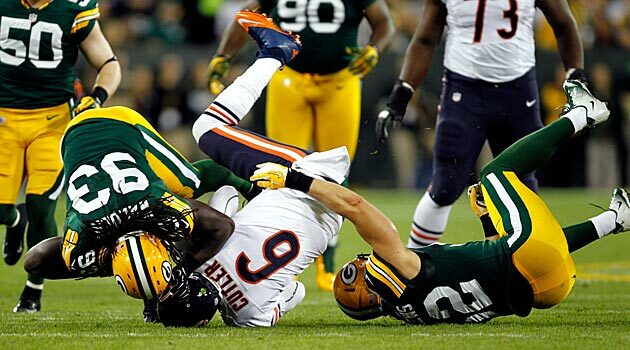 So let me just amend one statement: NOW I've never been this embarrassed to be a Bears fan. As I write this, it's the third quarter and the Packers are winning 42-0. 42 to nothing...nothing! Yes, it's that bad to the point where I'm writing this mid-game! 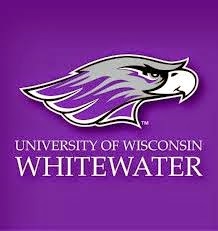 No one told me Whitewater was playing on NBC tonight! Be a team that no one really wants to go against in the playoffs, and the big one.. If those were the actual organizational goals this year, I think you can mark all of those down in the "Fail" category. Since there's no way they're winning this, the Bears are going to be 3-6 and remain in dead last place of the NFC. Their next game is against the Minnesota Vikings at Soldier Field. Most Bears fans would be optimistic about that fact, but lets not forget that these said Bears are 0-3 this year at home. Then after that are games against Tampa Bay, Detroit, Dallas, New Orleans, Detroit, and Minnesota again. For the love of my Great Aunt Petunia who doesn't exist (see, another reference to my other post regarding the Bears), at the very least make like the Cowboys the last few years and somehow go 8-8. The Warhawks came into today’s matchup with an undefeated 8-0 record as they welcomed the Pointers from the University of Wisconsin-Stevens Point. Today Stevens Point presented themselves as possibly the toughest matchup the Warhawks will face this regular season. Stevens Point presented the Warhawks with a considerable obstacle to overcome, regardless the Warhawks came away with another easy victory today at Perkins Stadium. Though Whitewater had a bit of a slow start today, the offense looked excellent in the second half and the final numbers speak for themselves. The Warhawks produced 531 total yards, with Senior Quarterback Matt Behrendt passing for 294 yards and Junior Running Back Dennis Moore rushing for 102 yards on the day. The biggest factor for the offenses success was the way they were able to balance out the offense. Behrendt led the charge with 21 completions and 4 touchdowns on the day and Coach Lance Leipold was able to utilize three different running backs who all contributed in one way or another for the Warhawks offense. Junior Running Back, Jordan Ratliffe, was able to rack up 2 rushing scores today to help the Warhawks pull away from the Pointers in the first half. Defensively the Warhawks played well although at times looked lackadaisical. They allowed 408 yards of total offense and 316 yards through the air. They allowed 17 points which isn’t terrible but it certainly isn’t the best defense they’ve played this year. With that being said the defense did step up and made big stops today when they needed it most. Senior Defensive Back Brady Grayvold came up big in the first half and intercepted what would have been a game tying touchdown for the Pointers and again deflected a possible first down play that would have extended a rather productive drive late in the first half for Stevens Point. All in all the Warhawks played another productive and successful football game that resulted in their ninth victory of the season. Though production may not have ran smoothly throughout the entire matchup, they still managed to light up the scoreboard and come up with some big stops when needed. Regardless of today’s performance Lance Leipold and the Warhawks now look forward to next weeks matchup against UW-River Falls as they try to cap off another undefeated regular season. 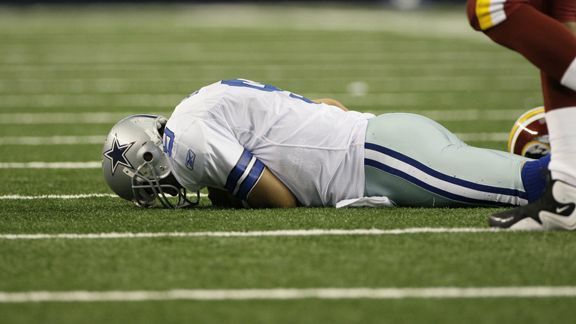 What Exactly ARE the Dallas Cowboys? What does Taylor Swift and the Dallas Cowboys have in common? We don't know what they are. Okay, maybe we do know what Taylor Swift is, seeing that she's supposedly now a full-fledged pop star. The Cowboys, however? The jury is still out. Let's all just take a moment to realize that not only did the Cowboys (who were at the time 6-2 and had the entire country hopping on the Dallas bandwagon) lose to the Redskins 20-17 in overtime. Not only did Tony Romo's surgically repaired back feel the wrath of maybe one of the better defenses no one is talking about. It's not any of that. It's the fact that they lost to a Redskins team led by Colt McCoy. Daniel. Colt. McCoy. And no, the 'Boys can't look at that night, make like T-Swift and just "Shake It Off". And yes, the haters did begin to "hate, hate, hate, hate, hate." Okay, okay. I'll get back to the point. So if the 'Boys were officially back prior to these last two losses, are we going to see the 'Boys we've all come to know and mock the past few years? Say it with me, everyone: "8 and 8, 8 and 8!" Maybe these last two weeks were just mere setbacks, and Dallas will go back to surprising us the rest of the way. But best believe that for every person out there who wants to see the Cowboys finally escape the hole of mediocrity, there's a whole bunch of people chanting "8 and 8" under their breaths, hoping for a collapse. If the latter does happen, Cowboys owner Jerry Jones may have to do a lot more than just "shaking off". Cubs' New Hype...Buy or Sell? The Cubs hired former Joe Maddon to manage the young prospects of their future on Tuesday. I saw a headline today on ESPN Chicago that said "Cubs' Savior has Arrived"
Wait a tick, how is a manager going to be the savior of a team? Is he on the field? Does he make the plays? How much effect on a game does he truly have as a manager? The manager puts together a lineup card, makes pitching changes, etc. BUT he doesn't make the plays. The players in the Cubs uniforms have to make the plays. They're the ones who have to hit and pitch and field. Dont get me wrong, Joe Maddon is an excellent game manager, and I like what he did with David Price, Evan Longoria and the Rays, but how many World Series has he won? None. His career record is a hair over .500 at .517 and the Rays had some solid teams. Now, you're throwing a guy who averages a 84-78 season a year to a team who has maybe one star player in Anthony Rizzo. No David Price or Evan Longoria type players on the roster and all the sudden Cub fans are talking World Series. Say that the Cubs do win 84 games next year. In a division with the St. Louis Cardinals that ALWAYS find a way to win, the Brewers who are a solid team who have already started improving by adding Adam Lind, and the Pirates, 84 games doesn't get you into the playoffs. The move to hire Maddon is an improvement and congrats to the Cubs on making the big move, but don't deem this guy a savior. The team still has to play the game. Remember the good ol' days with Urban Meyer at the helm, Tebow throwing, running people over for TD's, and doing whatever it took to win? The grit and heart the Gators played with back in 2008? Tim Tebow, Aaron Hernandez, Riley Cooper, David Nelson, Percy Harvin, Chris Rainey, Jeff Demps. The whole Gator offense seemed to end up playing in the NFL. This team EMBARRASSED opponents (minus the 1-point loss to Ole Miss which led to Tebow's famous speech). They averaged 43.6 points a game. Now? The Gators are getting embarrassed week to week. Their offense is anemic, averaging 28.7 points a game. Now you are probably thinking , "Andrew, 28 points isn't too bad." which I would agree with, but that average is bloated by a 65-0 win over a middle of the pack MAC team in Eastern Michigan. Take that game away and they are averaging 21.4 points. Playing in the SEC, 21 points a game isn't going to win you games. This conference is arguably the best in college football when it comes to NFL potential. Florida has to find a way to score some points. They're defense is solid enough to win SEC games, but they are getting burned out because they are constantly on the field because the offense can't put drives together long enough to score points and give the defense a rest. I wrote the first half of this blog a couple weeks back, but decided to add to it after Florida's shocking upset of, then, #11 Georgia. Florida may have found their identity after all, running wild on the Georgia Bulldog defense on Saturday. Kelvin Taylor and Matt Jones both had about 200 yards rushing and 2 TD's a piece, and just ran through Georgia all day. The only thing that worries me is the Gators only threw the ball 9 times all game with true freshman QB Treon Harris. Teams are going to key off on the running game between Taylor and Jones, so can Treon step up and make the throws hes got to make to help the Gators win? Now, don't get me wrong, I love the Gators and was unbelievably pumped to watch them beat Georgia Saturday, and it was a great step in the right direction. BUT. This team still has a long way to go. Will they be able to pass off the dominant running performance from this passed week? Will Treon be able to lead the Gators to 5 straight wins to finish the season? Will this win help the program land big recruits that can turn this sinking ship around? Time will tell, but as of right now, I am going to sit back and watch.